Silica microspheres with different functional groups can be used as diagnostic material. Here, differently functionalized group (NH2-, COOH-, SiOH-, and epoxy-) silica microspheres of approximately 5 μm in diameter are prepared on garnet substrates by a self-assembly method. The surface morphologies of the silica microspheres are observed by an optical microscope. The pressure generated from the glass/silica microsphere/graphite interface is measured by a resistance strain sensor as a function of an external direct current (DC) voltage. A PAX5710 IR3 polarimeter and slit beam profiler give information on the optical polarization and optical spot distance of the polarized laser beams reflected from the differently functionalized group silica microspheres. 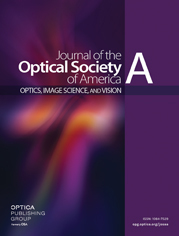 The results reveal that the relationships between the optical polarization properties, the optical spot position of the polarized laser beam, the reflectivity of the differently functionalized group silica microspheres using circularly polarized and linearly polarized laser beams, and the external pressure show different trends. The optical properties of the differently functionalized group silica microspheres are consistent with the experimental data pressure.